Friday favorites: my favorite link parties | So what? Now what? Happy Friday! I hope you had a fabulous week. One of the highlights of my week was the start of a brand new link party, Midlife Share the Love Party. 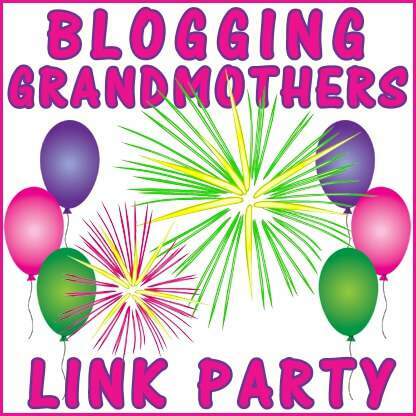 It was also the 24th Blogging Grandmothers Link Party, which I cohost. That got me thinking that this Friday Favorites should be a roundup of my favorite link parties. First of all, those of you who don’t blog or are new to blogging may be wondering just what a link party is. (Unfortunately, there are no drinks or party favors provided; though you may find a recipe for a refreshing new drink and instructions for making your own party favors.) A link party is basically a collection of blogs, often centered on a theme or a category of blogger. The hosts publish the party on their websites, and other like-minded bloggers link up their latest posts. It’s an opportunity to read a variety of blog posts, show off your own work, and connect with bloggers. My description is a little lacking. It will no doubt make more sense if you visit one yourself. Here are five link parties in which I regularly participate. Blogging Grandmothers Link Party, published on the first of every month and hosted by myself, Grammy Dee, MiMi Clearissa, Gramma Lori, Nan Sue, and Grandma Teresa. 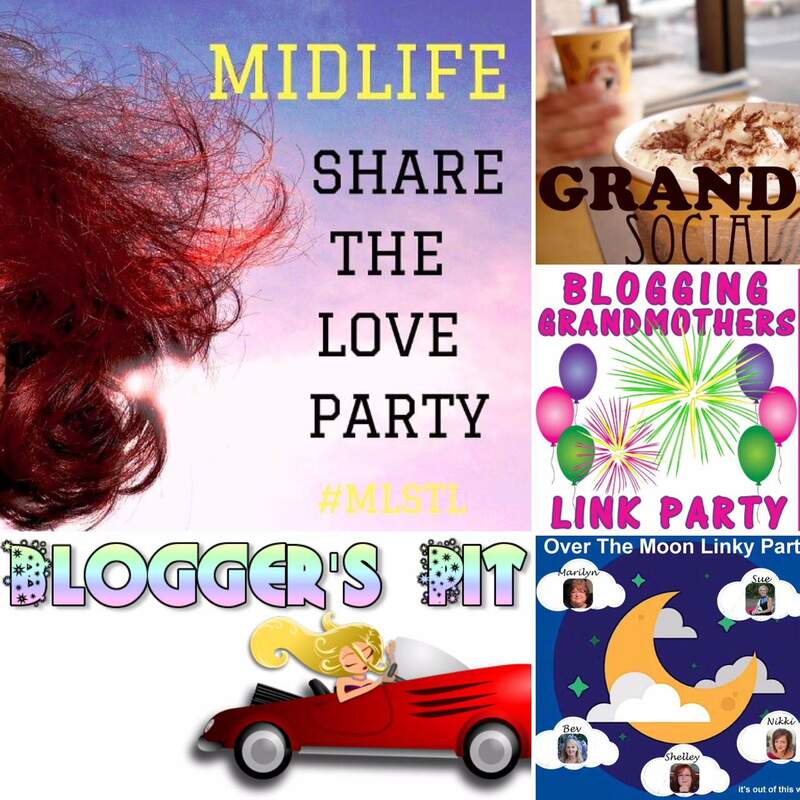 This party is open to all grandmothers who blog—on any subject. 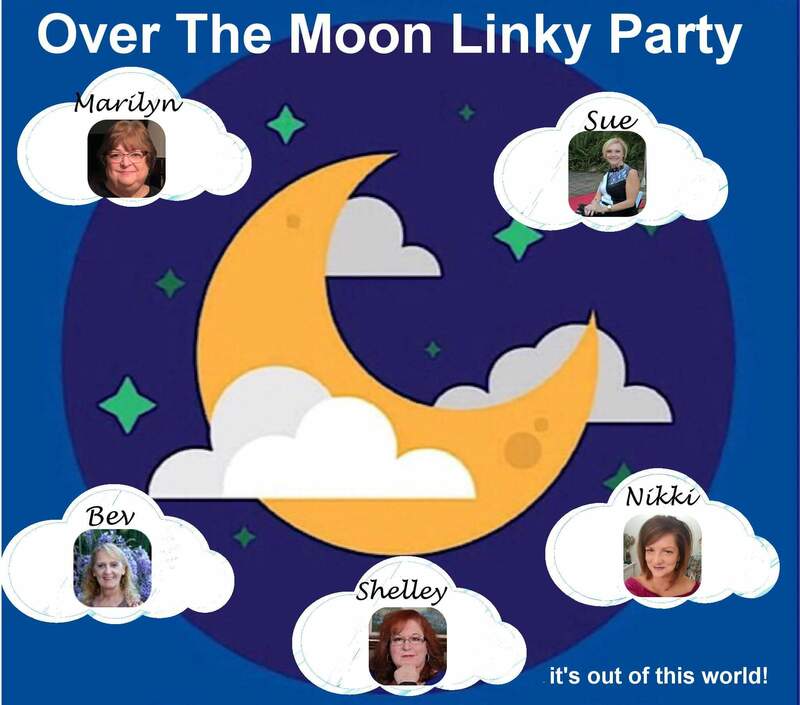 Over the Moon Linky Party, published every Monday and hosted by Marilyn, Sue, Bev, Shelley, and Nikki. This party is open to all family-friendly posts. GRAND Social, published every Monday and hosted by Lisa. This party is open to blogging grandparents. The blogs don’t have to be about grandparenting, just written by a grandparent who blogs. 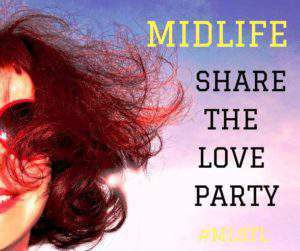 Midlife Share the Love Party, published every Wednesday and hosted by Sue and Leanne. This party is open to bloggers 45 years old and older writing lifestyle-related posts and willing to comment on and share other bloggers’ posts. Blogger’s Pit Stop, published every Friday and hosted by Kathleen, Julie, Menaka, Sue, Roseann, Elise, and Debbie. This party is open to all family-friendly posts. So there you have it; those are my favorite link parties. If you are a blogger, I’d love to hear what link parties you frequent. Please share at least one in the comments. If you don’t write a blog, but like to read them, you may still want to “attend” a party. If you visit one of those featured in this post, tell them Christie sent you. Also, I’d greatly appreciate it, if you’d come back here and tell me which party you attended and what you thought. And finally, as this is Friday Favorites, please share something happy from your week. A great round up of parties Christie. I enjoy linking up with most of these ones too, apart from the grandparent ones as I don’t qualify just yet! I have met some great bloggers and read fabulous posts by joining in with these linkups. My happy moment for the week has to be having my three daughters with us as we farewelled my father. One of them flew home to Australia from England so it was extra special to have her with us. Farewells are bittersweet. So glad you could have your daughters with you. Thanks for the perspective on them in general. I hadn’t really heard of them till recently… is it a new thing? I’m excited about the new MSTL party, Pat, and of course, Sue is great to help out with anything you need. I’m not sure how long link parties have been around. I stumbled upon the GRAND Social by accident and then read someone else’s post on link parties and chose a few that seemed to fit well for me. Congratulations on accomplishing another item on your Winter Bucket List! Hi, Christie – I love each of the LInk Parties that you’ve mentioned above. Such great community members and great quality content. Thanks for sharing this! 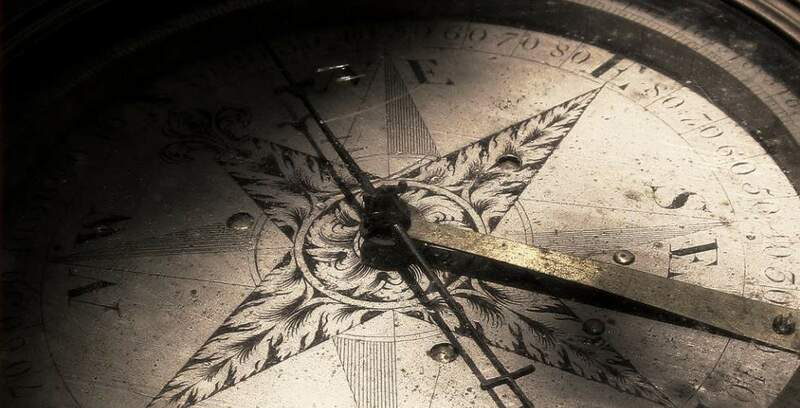 I’ve said it several times, but I’ll say it again, the wonderful connections I’ve made through blogging are amazing! When I retire and am able to travel more, I hope to be able to meet some of you in person. 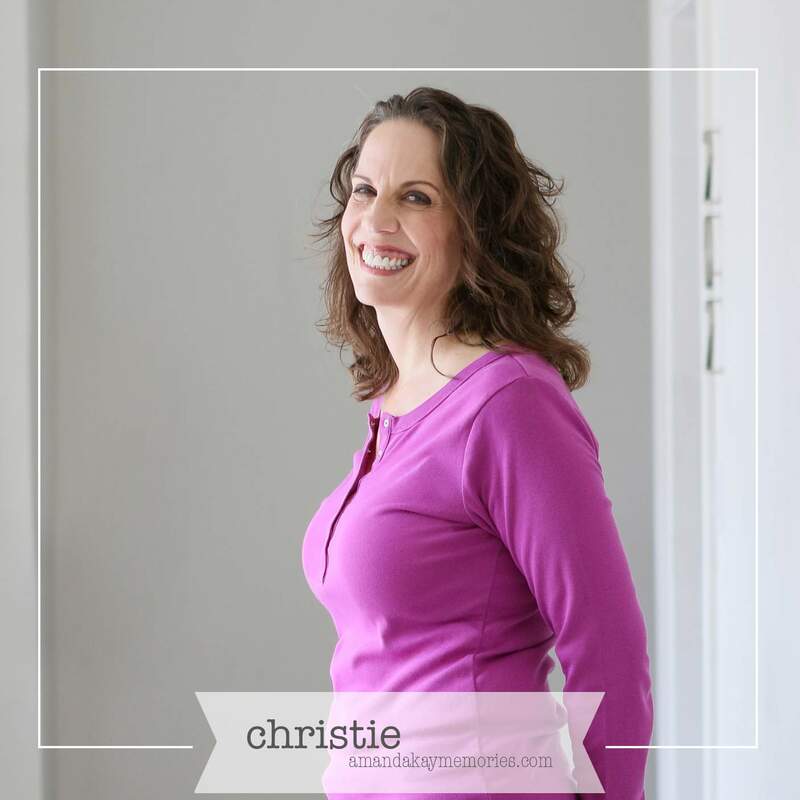 Thank you so much for including my GRAND Social, Christie! I’m honored to be featured among these amazing parties. Honored to have you participate in mine regularly, too! You’re welcome Lisa. Thanks for hosting. The GRAND Social was the first link party I joined! Great round up, Christie. I recently joined Sue and Leanne’s MLSTL party. I don’t qualify for the grandparents yet. I also link with Leslie’s Sentence-a-day and seasonal fun list link ups. Like you, I enjoy the wonderful connections I’ve made through blogging. My happy moment of the week was the happy long weekend get-away with my family. I love Leslie’s seasonal bucket lists. Besides the great blogging connections, it’s really gotten me to do some fun things I may not have tried otherwise. I’m happy you got to spend the weekend with family. Here’s to another great week! Thanks Christie for a great list. I’m always on the look out for new parties and they are so great for finding new bloggers to follow. Now I’ve found you too 🙂 And thank you by the way for commenting on Lifestyle Fifty earlier too. Much appreciated. You’re welcome Jo. I love discovering new blogs, like yours, and meeting new people. Have a beautiful day!